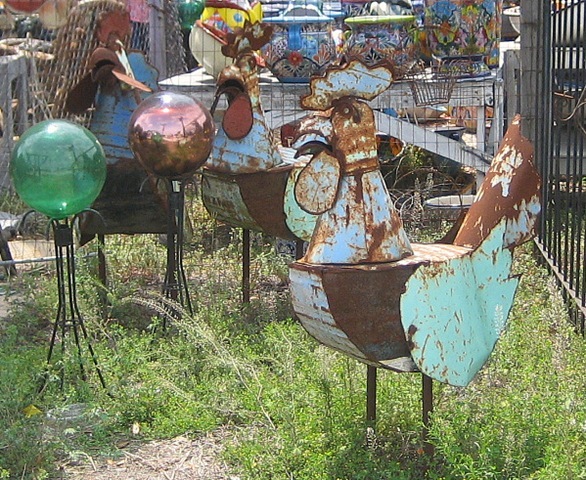 This herd of mexican chickens was spotted on the side of the road in Florida. très original tous ces volatils tout comme vos créations. Un grand bonjour de France. Love these chickens!!! We’ve got a big rabbit….is that a match? So cute! I love the look on the face of the rooster behind that big white one! cute clucks!!! Have a great Easter. 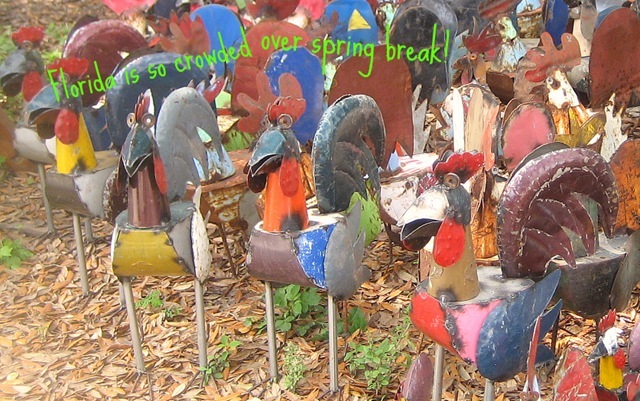 How cute and fun can your get – they must be the happiest chickens in Blog Land. We have some of these scattered around town. I keep telling myself I’m going to break down and buy one. Would be great for my eclectic garden. what cuteness! I love stuff like that. What pretty fun colors. Your blog is wonderful. Love all the chickens!! Very cute! Especially the Spring Break comment!! These are really cute and quite creative. What a cluck-fest! Love these birds!